Looking for a high-paying career without incurring the walloping debt of a grad school education? While doctors, lawyers, and corporate executives with post-graduate degrees command top wages, there are plenty of careers that pay exceptionally well -- and you won't need more than an associate's or bachelor's degree to qualify for them. Some pay well because you'll face risks on the job, but many simply require sharp, dedicated workers who have completed specialized training and/or have job experience. Let's examine some careers you may have overlooked, and the training you'll need to earn winning salaries. There's no need for a graduate degree to receive high earnings if you're cool under pressure. As air traffic controllers hired during the strike of the early 1980s begin to retire, the nation's airports have a greater need than ever for air traffic controllers. It helps to have come college training in math, aviation, or sciences, or to have military traffic control experience. To become an air traffic controller, you have to complete the Federal Aviation Administration's Air Traffic Collegiate Training Initiative Program. There are courses at 13 colleges and universities around the land. Outlook: The FAA plans on hiring 1,900 controllers in 2009, with a projected increase of 17,000 through 2017. The U.S. Bureau of Labor Statistics (BLS) reports a 2008 mean annual wage of $111,870, with top earnings for controllers at $161,010. Attention, criminal justice majors: You can earn a good living without completing a graduate degree. There are several career training programs that take two years, and many police agencies will hire candidates who have completed an associate's degree. You can also complete a bachelor's degree online. Qualified recruits attend local, state, or federal training academies for their agencies. Federal law enforcement agencies typically require a bachelor's degree, and they pay handsomely for the additional training through law enforcement availability pay, increasing income by 25 percent for overtime. Outlook:Jobs will be more plentiful with local law enforcement agencies, with higher competition for federal jobs. Overall jobs increase: 11 percent in the 2006-2016 decade. With experience, officers can rise to well-paid supervisor positions. For example, police supervisors took home a median 2008 income of $75,490, with top salaries in the six figures. If you're already working in sales, why not take online classes in management, business, or marketing and rise to a manager's role? You won't necessarily need an M.B.A. to take home great earnings. Sales managers have diverse roles, including staff recruiting, staff training, territory management, coordinating suppliers and distributors, and evaluating the competition. Not to be confused with graphic designers, Web developers are the technical specialists who mastermind the code that makes a Web site deliver the bottom line to business organizations. They typically hold bachelor's degrees in computer science or software development, but many specialize by taking additional online courses in design to complement their skills. If you can design the look and feel of a Web site along with wrangling the code that makes e-commerce or animations work with precision, you can move to the front of the hiring line. Outlook: Job growth will be brisk throughout the computer science professions during the 2006-2016 decade, with a sizzling 37 percent increase in openings. The median 2008 annual wage for computer scientists was $69,740. Senior Web developers earn between $71,000 and $102,000. If you pay attention to articles on the hottest jobs, you can't ignore the staying power of the dental hygienist role. It's among the fastest-growing, highest-earning career for people considering an associate's degree or technical career training. Outlook:Government labor predictions cite a 30 percent hike in dental hygienist jobs between 2006 and 2016. The median 2010 annual wage for hygienists was $66,570, with top earnings surpassing $90,000. While competition for jobs is tough, the pay is too attractive to pass up this career that rewards creativity. And you can train online, keeping your current job while you complete a two- or four-year degree. If you're already in the field, bolster your credentials by adding business, marketing, or sales fashion merchandising courses. Nearly a fourth of all fashion designers are self-employed. Outlook:The greatest number of new opportunities should be with design companies that prepare concepts for retail chains or department stores, with openings at private boutiques and specialty store design firms remaining highly competitive. The median annual wage in 2010 was $61,160, but top earnings surpassed $124,000. People with bachelor's degrees, associate's degrees, and even certificates are not shut out of the realm of the high-wage earners. 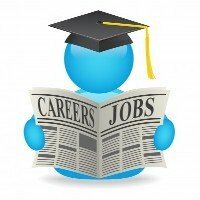 Choose a career where skilled training is valued over a fancy diploma, and you could be making an enviable salary. Author of Top Jobs with Great Pay No Graduate Degree Required - Woodrow Aames has written articles and profiles for Yahoo!, Microsoft Network, and other Web sites and print magazines around the world.